Payne split systems that include a heat pump and air handler are very affordable and highly rated in terms of customer satisfaction. The first half of that equation, the affordability, is spelled out in this Payne PH13NA Heat Pump Price 13 SEER R-410A review from Melissa in Columbia, Missouri. “This fall my husband and I bought our first home after 3 years of apartment dwelling. Within 3 weeks we experienced our first negative taste of home ownership – our first major expense! The furnace quit working and the estimate on the repairs was over $1,000 ‘and you’re still going to have an old furnace’ the guy said. We decided it made more sense to replace the unit but we didn’t want to spend big bucks. The home had no central air conditioner so we got prices to do the whole system. When the Payne salesman came over we discussed our situation and told him our budget. His suggestion was music to our ears – the Payne PH13NA heat pump / split system that would heat and cool with good efficiency and very low initial costs. I gathered a few other heat pump prices after and found the Payne price was unbeatable. So that’s what we had installed and we couldn’t be happier with the results, though the expenditure means we’ll be holding off on carpet and a new couch until spring. But we’ve been warm and toasty this winter without worrying about that nasty old furnace. 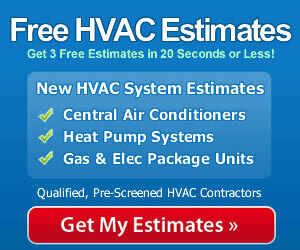 That is a good deal – about right for a standard efficiency heat pump/split system and installation. The addition of the heat strip was a good idea. It will boost the heating capacity on the coldest days and will be appreciated for sure. 13 SEER and 7.7 HSPF. High-efficiency fan is made from durable materials. Reinforced steel cabinet with powder paint and weather-resistant hardware. Efficient single stage heating and cooling. R-410A Refrigerant does not contain chlorine and does not deplete ozone. Sizes range from 1.5 ton /18,000 Btu to 5 ton /60,000 Btu. When you choose a quality heat pump like the Payne PH13NA it is important to protect your investment with professional installation. A qualified contractor will set up your system properly so that it will deliver maximum performance in both heating and cooling seasons – and you’ll enjoy the energy cost savings that you expect.